2. What causing mono and how can it spread out? 2.2. How can EBV spread out? 2.3. How EBV interact with the human body? 3. Who will likely to get mono? 4. How can mono worsen your healthy life? 7. What to eat to get rid of mono? 8. How to prevent "Kissing Disease"
8.1. Avoid kissing people who are having mono-like symptoms. 8.2. Avoid sharing your drinking glasses and utensils with infected people. 9.2. How long does it take to get rid of mono? 9.3. Can mono go away on its own? 9.4. Can mono stay with you forever? 9.5. How do doctors test to see if you have mono? 9.6. How to stop mono before it starts? Mono or mononucleosis, also as known as the kissing disease, is an infectious disease caused by Epstein Barr Virus (EBV) through saliva, that is how you can get it by kissing. However, you may expose to the pathogen by sharing a glass, food utensils or by sneezing or a cough. This is a well-known disease which mostly occurs in adolescent and young adult throughout the development of psychophysiology. Although mono seems to be harmless, it may cause some annoying symptoms like a sore throat, fever, and fatigue. Therefore, we should know how to get rid of mono to get out of these pained expressions quickly. Therefore, today we will discuss this disease, what is mono and how to get rid of it. To those who are unfamiliar with this subject, infectious mononucleosis (or mono in short), is an infectious disease caused by a virus called Epstein Barr virus (EBV). This disease was first described in 1889 as “Drusenfieber” or glandular fever by a group of German physicians. The abnormality of the lymphatic system mostly is enlargement of the lymph node. In typical scenarios, mono is not a lethal disease, and in fact, it will quickly be eradicated spontaneously in just a few days without any noticeable consequences. The treatment therapy is such simple that all things you should do are only providing the best source of nutrients to your body and wait for it to recover gradually. In some specific cases, antiviral treatment could be applied if the situation turns bad. What causing mono and how can it spread out? 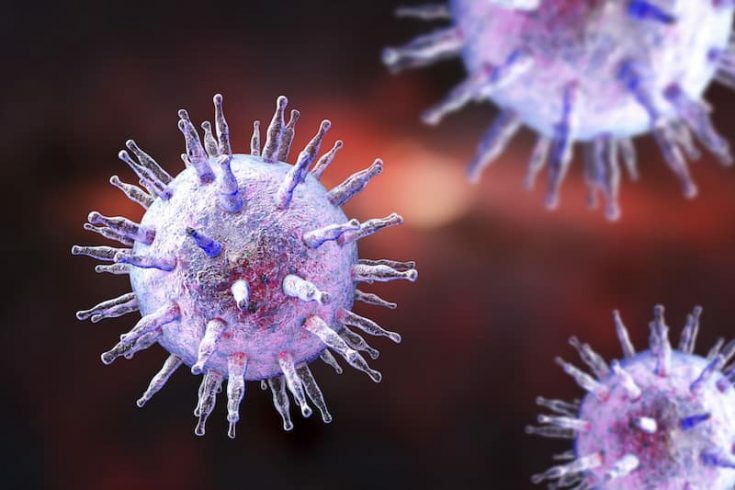 The pathogen behind this disease is a virus named Epstein-Barr virus, which is a member of Herpesviridae family, widely known for generating various types of infectious diseases for humankind. There are two types of EBV, EBV-1, and EBV-2, which have been identified in most human population, and the distribution of each species depends on different areas. For instance, scientists have found that EBV genotype in the US and Europe is approximately ten times to be EBV-1 than EBV-2 whereas, in Africa, the ratio is quietly equal for both of them. EBV can cause a variety of diseases in both acute and latent infection phases like mono, Burkitt lymphoma (blood cancer), Hodgkin lymphoma, carcinoma (epithelial cells cancer) and there is evidence cite that EBV could even raise the ratio of causing cancer in HIV patient. Therefore, a lot of researches about EBV have been launched to get a more profound knowledge about these viral infections, but up to now, people still haven’t understood fully about the mechanism how EBV interacts with human cells and causing cancer. Due to the complicated of this topic, this post will not mention too much about the ability to cause cancer and other autoimmune diseases of EBV and focus in the way EBV creating mono and how to get rid of it. How can EBV spread out? The transmission pathway of EBV is mainly through the saliva, and according to many epidemiology studies in the US, there is about 90 percent of people who are seropositive with EBV. It could be the reason why people call it “Kissing disease,” but you still can be infected even when you did not kiss anyone, like when you share a glass of water or food utensils with someone who is having mono. Besides, scientists have noticed two other spreading pathways, by breastfeeding and sexual activities. These could be because scientists isolated EBV in breast milk, the surface cell of the cervix and male discharge samples in some studies. Luckily, these studies also showed that those pathways might not take an essential role in the transmission process, so there is nothing to be worried about. How EBV interact with the human body? Base on virology researches, we have already had a picture of how can EBV infects the human body. First of all, the virus will invade the nasopharyngeal cells. After that, they will have the ability to replicate, which produce a massive amount of virus inside the cells before they are excreted through the oropharyngeal secretions. In the oral cavity, EBV will quickly find and infect the B-type lymphocyte in the lymphoid-rich areas of the oropharynx. By affecting the B-type lymphocyte, the virus can widely spread out in the entire lymphoid reticular system and the period before the appearance of the symptoms, also known as the incubation period, is around four to eight weeks. In the beginning, infected B-type lymphocyte will induce circulation antibodies which could detect and exterminate viral antigen. 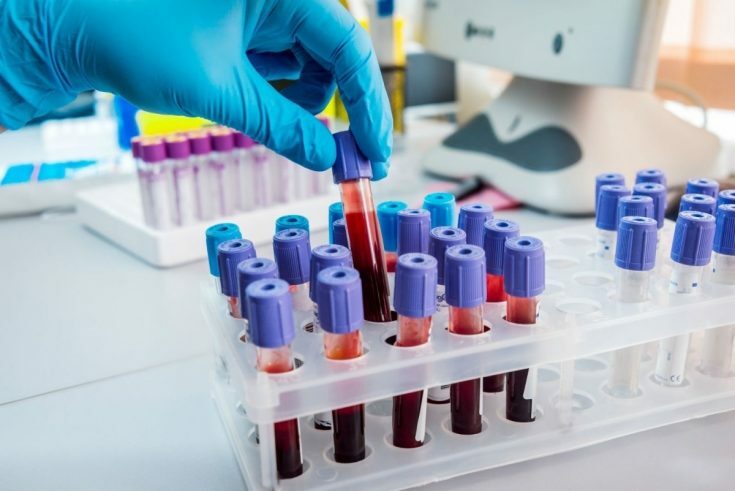 However, in particular and rare scenarios, they also cause other types of antibodies which could damage the body structures like red blood cells, white blood cells, the platelet. It could lead to some of the less common clinical manifestations associated with mono, including the enlargement and rupture of the spleen, rash. Moreover, there are reports about Guillain Barré syndrome, facial and other cranial nerves palsies, inflammation of the brain and the meninges. To regulate the infection, our body produces the EBV-specific cytotoxic T-lymphocytes, which play an essential role in controlling acute and reactivation infection. The activation of these cells will induce a significant amount of chemical compound that destroy the EBV contaminated cells, hence, help to limit the disease. However, despite the powerful immune responses of the patient, which regulate the initial lytic infection, EBV can become a lifelong infection as it can trigger periodic reactivations through the shedding of EBV from the oropharyngeal secretions. The immune system plays a crucial role in the way the body reacts with mono. Therefore, people with the inappropriate immune system, like the AIDS, can not properly control the infection, leading to the generation of EBV-induced malignancy. Even with an appropriate immune system, EBV could still interact with our bodies in various ways and induce some unique clinical manifestations. Plenty of epidemiological studies have linked the mono to the increased risk of Hodgkin lymphoma, some autoimmune disorders like multiple sclerosis and systemic lupus erythematosus. In short, mono is not as contagious as other infections, such as common cold and it could lead to various of complications. Thus, you should consider meeting a doctor whenever you have symptoms, which will be mentioned below, to get a full examination of health experts. Who will likely to get mono? It is true that there are sorts of people who will get a higher risk of being exposed to the pathogen than others, so let’s find out who are they. 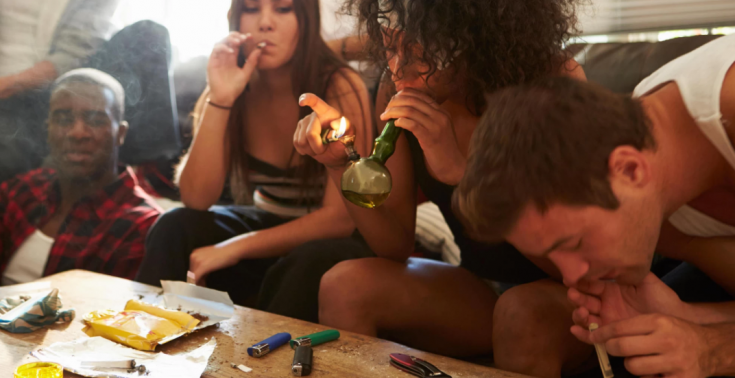 Many kinds of research pointed out that people from the age of 15 to 24, or even 30 according to other studies, have a higher incidence to express the symptom of mono. It could be because this is the time that people start to fall in love and to have sexual activities, including kissing. The incidence to express the symptom is higher in the young group but it does not synonymous with the children does not get a big chance to expose with the pathogen. The infected children would not express the symptoms as the adolescents do and scientists call it “subclinical infection.” In fact, there is just around 10 percent of infected children that is symptomatic, so epidemiologists may miss identifying whether a child is infected or not. The symptoms will not appear until the child grow up so you should keep in mind that symptomatic adolescents might have been affected since they are younger. A possible explanation for this concern is that children and young adult have to go to school to study and students in university often share the same dormitory. For this reason, they are likely to have a big chance to expose to the droplets from their infected friends, and the disease spreads out quickly. Apparently, people who are working in the healthcare system will get an enormous chance to expose to the virus due to the contact with a variety of patients. Therefore, not only doctors but also nurses, medical interns or students should pay proper attention to protect themselves, as well as their family. This is a fact that the incidence of clinical infection in the whites is approximately 30 times higher among the blacks in the US and the reason behind this scenario has not yet been fully understood. Immunosuppression people, including people who are taking drugs that weaken the immune system. People who own a particular genome structure. People who live in poor condition. 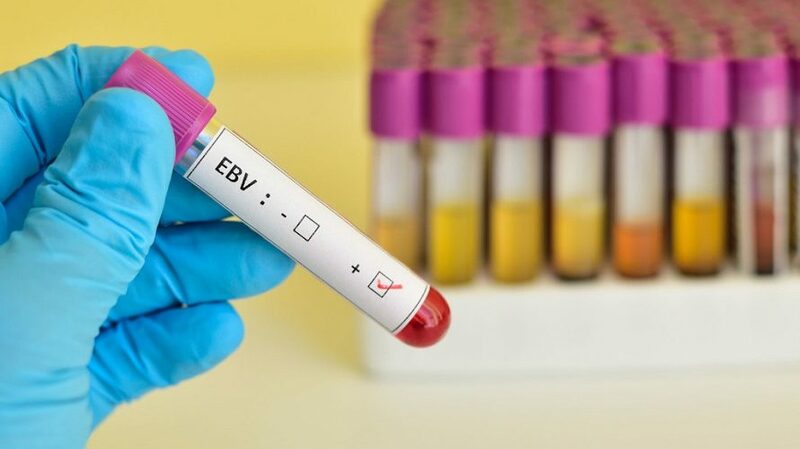 Studies showed that by the age of four, nearly all of the population in developing countries are positive with EBV-antibodies test and ranges from a fourth to half in lower socioeconomic groups in the US would suffer the same situation. How can mono worsen your healthy life? Besides these main symptoms, there can be a few more features which can be associated with the infection like malaise, headache, and low-grade fever. These symptoms can appear in the beginning stages before the specific features I mentioned above occur. There are a few differences in the characteristic of mono which can be used to distinguish this disease to other disorders, like the common cold or strep throat. The first thing I want to mention is the severity and the length of fatigue. According to a prospective study of 150 patients, most initial symptoms like fever and sore throat would disappear after one month but the feeling tired would still exist, and it had not been resolved until six months later in 13 percent of the participants. Also, it could damage the education process due to most of the patients are at school-aged. Another thing is that the position of the swollen lymph nodes. Studies show that they are more likely to involve behind the cervical rather than the front. Because of the special distribution in the neck anatomy that the posterior lymph node system is covered by the sternocleidomastoid muscle, the enlarged lymph node may not easily appear on the physical examination. Therefore, the physician might miss the infected lymph node if the examination does not perform in a careful way, giving a wrong diagnosis as a consequence. The last thing that I want to discuss in this part is that these specific symptoms will not always appear or they might change their characteristic, especially in some particular patients like in very young or old people. For instances, based on a study in a group of patients whose age range from 40 to 78, two of the most frequent complaints are pharyngitis and myalgia whereas the enlargement of the lymph nodes behind their neck does not appear on physical examination or in some cases, some patients will not feel sore in their throat. Another epidemiologic study shows that nearly 15 percent of patients who would develop atypical symptoms. Enlargement of the spleen is the most common complication which could happen in 50 to 60 percent of patient with mono and is likely to recede by the third week of the illness. This could make the spleen to rupture and cause the patient lose their life by the massive hemorrhage from the regional vascular system. Fortunately, rupture of the spleen is a rare complication, which only presents in one to two cases per thousand but about 70 percent occur in males and usually under 30 years. There is a variety in the manifestation of rash. The first kind of rash that I want to mention is a combination of flat and raised skin lesions, also known as the maculopapular rash. 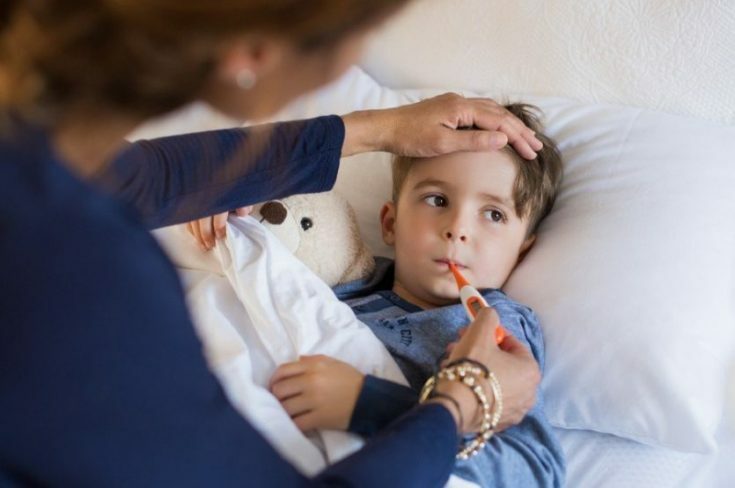 Based on plenty of studies, scientists concluded that the appearance of it is almost always occurs following by the administration of some particular antibiotics, including ampicillin and amoxicillin, which is also the drug of choice for strep throat patient. Besides, there are reports about other antibiotics could end up with the same result like azithromycin, levofloxacin, piperacillin/tazobactam, and cephalexin. Despite there are a lot of efforts to understand how antibiotics can result in this phenomenon, the true mechanism is yet to find out. However, the scientists could cite that the development of rash related to antibiotics in mono does not appear to represent for a true drug allergy, as patients subsequently tolerate with ampicillin without suffering negative effects. Another concerning information is that the ability to create some of the neurologic syndromes, including Guillain-Barré syndrome, facial and other cranial nerve palsies, inflammation of the brain and the meninges, inflammation of the peripheral and eyes neurons. 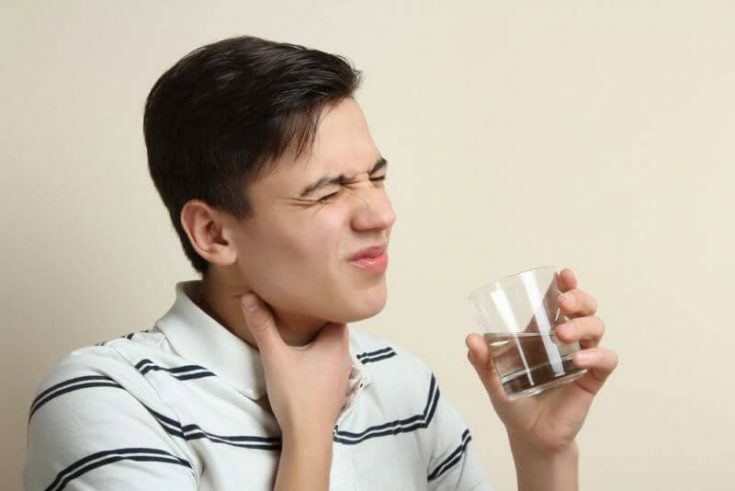 As I mentioned about, both mono and strep throat share some of the same manifestations, which could make the patient mistaken and even a physician to misdiagnose if the examination is not carefully done. Thus, you should pay attention to those following notes which could help you differentiate between mono and strep throat. The first thing that you should keep in mind is that either of mono or strep throat only accounts for a small proportion of sore throats. 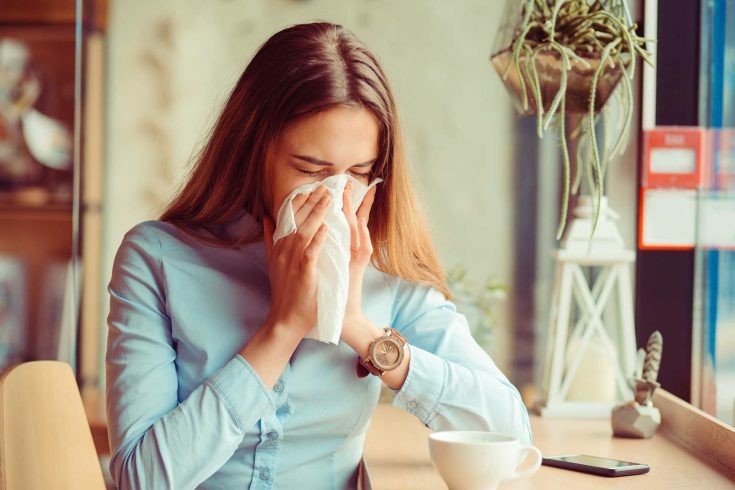 In facts, almost all of the cases are caused by respiratory viruses and their symptoms are quietly mild, and they may combine with some of the signs of the common cold. Therefore, if you have to suffer high fever, enlarged lymph nodes in the neck, enlarged tonsil or incredibly painful sore throat are the warning signs which alert you to find a physician as soon as possible. With the careful examination and laboratory tests, the doctor will quickly find out what will take responsibility for the annoying manifestations. Mono is mostly caused by the contact with the body fluid of the patient, almost all of the cases are related to the saliva through kissing. Therefore, it is important for you to determine whether you had high-risk activities or not. The history of contact with the patient who was diagnosed as mono could also be very essential because it can provide the direct evidence. The last thing is hard to remember, it is related to the characteristic also the location of the swollen lymph node. Lymph node involvement in mono is typically symmetric, and it is more commonly located in the posterior cervical than the anterior chains. In short, without the hand of the professional healthcare, it is not easy to distinguish whether your condition is strep throat or mono. Therefore, you must remember to seek for help when you have those warning signs. If you feel a little bit confused with all of the provided information, you should check out this video below which is made by WedMD, one of the reliable sources of medical information. This video could briefly summarize most of the information about this disease and give you the most basic knowledge of what you should know. If rest and a healthy diet don’t ease your symptoms within one or two weeks. These symptoms worth remembering and they are the indicators to show you how to distinguish from a common cold to other diseases. All of them can be quickly reduced by non-prescription medications, such as acetaminophen or ibuprofen. These substances are anti-inflammation agents, which can also act as a painkiller. Therefore they will relief either of the fever and the headache. 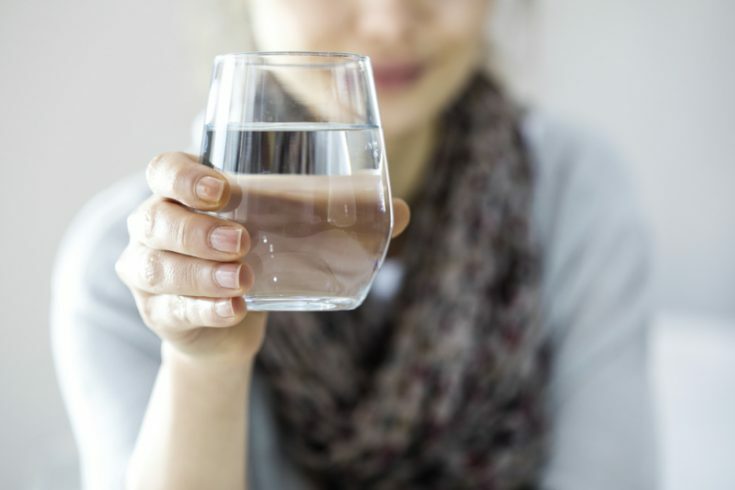 Another recommendation is that you must remember to drink a lot of water because your respiratory rate usually increases when your body temperature is rising. Therefore, you will lose a significant amount of water due to the over-air ventilation with the environment. There are plenty of choices for you to make and I will highly recommend you to drink juice, especially apple juice which could provide precious vitamins and nutrients or may be fresh water could also do the job. Another way to reduce your body temperature is wearing thin clothes and lying in airy place, but you should remember to avoid the wind. Try not to wear thick clothes or cover yourself in layers of blankets even when you feel cold, in fact; your temperature is rising not dropping so do not make it higher. How to ease a sore throat? It is the fact that sore throat brings horrible feelings for days and it also reduces your appetite. The best solution to this issue is gargle with salt water, it’s simple, right? To be more specific, salt water not only wash the pathogen out of your oral cavity but also protect the oral mucosa. The recipe is simple, mix around one-half of teaspoon salt for 250 ml of water, and you are ready to go. There are some controversial ideas about the amount of salt in the mixture. Many cite the more salt in the mix the better the effect is, but the intense concentration of salt could produce an adverse impact, including damage your teeth. Therefore, you should keep in mind the recipe if you want to have healthy teeth. When you are infected, your body is quickly knocked out by the overwhelming of the virus. Therefore you must let it recover as soon as possible to fight back those little invaders. During the illness period, you would feel exhausted and fatigue for days and the best thing you should do is to think about how you can take as much rest as possible. As an infectious disease, the sufficient way to get rid of mono is put down the pathogen, which is EBV. As I mentioned before, EBV is a virus; hence, it can only be eradicated with antiviral drugs. You can not get these drugs without the prescription from healthcare professionals, so you should get one if your symptoms get worse. The physicians will consider the best dose for each patient condition, and they will give you useful advice about the contraindications, the adverse effects of the drugs and when to re-admit the hospital. The most well-known antiviral drug to treat mono is acyclovir. It displays a useful reaction against multiple types of virus, including HSV, VZV, and EBV, inhibiting their replication progress thus make them reduce their number gradually. Despite the effectiveness of it, scientists also concern about the ability to cause congenital disabilities of it. Therefore, multiple observational studies have been launched to prove the safety of it, and the results are all positive. Up to now, there hasn’t been a report about expose to acyclovir would enhance the chance to cause a congenital disability. One of the most common mistakes is people tend to be confused and using antibiotics instead of antiviral drugs. As a matter of fact, antibiotics are useless and ineffective when head against the virus and the use of antibiotics can also damage your health. As I mentioned above, up to now scientists still have not found out the exact mechanism how amoxicillin and ampicillin interact with of body but can the administration of them can lead to the appearance of a variety type of rash on your skin. What to eat to get rid of mono? Dietary during illness period plays a crucial part as it determines how long the disease would last. Therefore, it is essential to know which kind of food could help reduce the symptom and enhance the body immunity. As the first choice on the list, there is no doubt that fruit is the key factor which can boost your immune system, as they can also bring fresh flavor to your poor appetite. 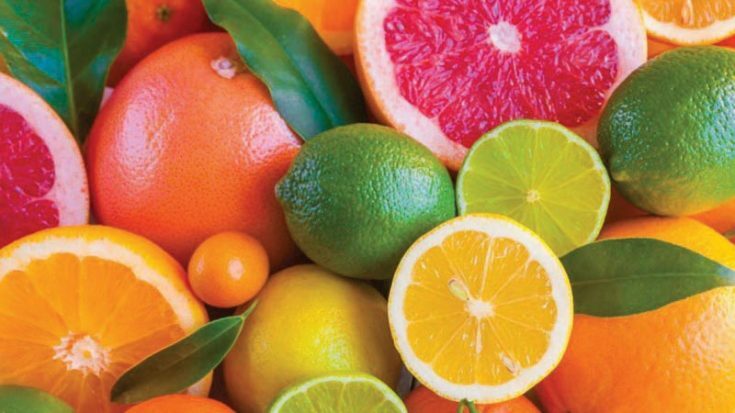 The explanation for this is that fruit contains a variety type of vitamin, including vitamin C which plays a crucial role in developing and recovering your damaged immunity. There also a diversity of choices, for instance, banana, watermelon, papaya, pomegranate. They are all rich in resources for your body, and they are also tasty too. The vegetable is also a substantial natural resource of vitamin and micronutrients too. Besides, they also provide a rich source of antioxidants, which can maintain your biological homeostasis and reduce the adverse effects during the illness period. Vegetable like spinach and sage could also reduce the inflammation caused by the infection and accelerate the healing process, so you should remember them while you are ill. There is no doubt that beef provides a reliable energy source and a tremendous amount of vitamin and mineral micronutrient. 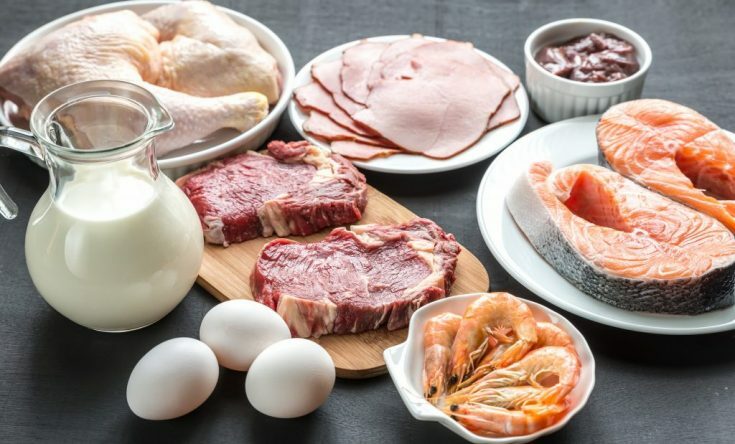 However, you must choose the lean meat like chicken, turkey or fish because too much fat would not be friendly to your digestive system in this scenario. Also, hot and soft dishes is one of the best choices you can make because the moisture, the heat and the smooth texture from that food could improve your taste. Another excellent choice is shellfish, which is also a delicious and healthy too due to the precious resource of zinc that can boost all of your immune cells. There are a variety kind of shellfish, and you can easily find the recipes on the Internet if you want to get a delicious meal, not only easy to digest but also create a relaxed moment while enjoying them. As an infectious disease, therefore vaccination is one of the best ways to prevent this kind of disease to spread out. However, it’s sad that there have not been vaccines for EBV up to now. Fortunately, there is still a variety way which could help you protect yourself from this kind of disease, let’s find out what they are. Avoid kissing people who are having mono-like symptoms. Based on our knowledge of the transmission pathways of EBV, the most common method of EBV is by kissing. Therefore, you should raise your awareness to your mate whenever they have some suspicious symptoms like sore throat, enlarged lymph node, and fever. Avoid sharing your drinking glasses and utensils with infected people. Best friends or family members usually share the same spoon while they are eating cake, pie or the same glass of water. Nonetheless, this is a high-risk activity due to plenty of diseases can be transmitted, including hepatitis B, H.pylori-induced gastritis and of course, mono. As I mentioned before, the majority of the virus can spread out by the saliva so you should be careful when you decide to share those things. Stress brings various adverse effects, not only to your psych, but it can also suppress your immune system which lessens the ability to control and regulate the infection of our body. Therefore, the virus will get a higher chance to invade and cause us lots of troubles. There are multiple ways to change your eating habit, including the food which was mentioned above. Those kinds of food can give your immune system a tremendous boost which not only helps prevent mono but also other types of diseases. Change your diet know and share your feeling with us. Firstly, EBV can circulate in your blood for weeks or even months; hence you should not donate blood within six months since the first symptom onset. Secondly, sneezing or coughing can also spread out a significant amount of virus to the surrounding area through the saliva. Therefore, you must remember to cover your mouth carefully, which could prevent other people accidentally contact with your body fluid. Another thing that worth remembering is you should practice good personal hygiene. The reason why I have to share this recommendation to you is that everything around you can have a high chance to contact with your droplets. For instance, after covering your mouth, your hands with contain a significant amount of virus which can transmit to anyone who touches it. Therefore, practice good personal hygiene is one of the sufficient ways to prevent the virus from spreading out. Last but not least, sexual activities can be a transmission pathway. This problem explains that the virus does not only exist in your blood but your body fluid too. Studies have proved that the virus can transfer while subjects have sexual activities. However, there is a shortage of information about when people can have these activities again so if you know the exact information, please share with us and let everybody know. The explanation for this phenomenon is that when you expose to the pathogen, the virus will remain to stay in your body even when you have recover from the illness. The key factor to regulate the virus is your immunity, therefore, whenever your defender is weakened in some particular scenarios, the virus will get a big chance to rise up. However, if your immunity is good, you should not worry about the tiny invaders which hide inside your body. The fever will disappear within 10 days. The enlarged liver and spleen will commonly vanish between 4 to 6 weeks. Other symptoms will be likely to reduce and gone after 2 to 4 weeks. However, although every annoying sign disappeared, you could continue to feel tired for months, arrange from 3 to 6 months or even longer. Lastly, the bad news is even when the patients feel better, the virus could likely to appear in their blood for a long time, waiting for a day to reactivate. Can mono go away on its own? In case the symptoms irritate you so bad, the supportive therapy could be applied to reduce those symptoms. However, you can choose another way to relieve them without using any drugs; please go back to the content above for amazing tips to get rid of mono. Can mono stay with you forever? Although most of the people experience mono once, some of them could witness a recurring infection after a few months or years since the symptoms disappeared. When your body exposes to EBV, the virus could still exist in your body in a dormant stage, and it is regulated by the immune system. Once our barrier fails to control the infection, like in some immune depression disease such as AIDS, it will soon regenerate in number, and the symptoms of mono will recur. How do doctors test to see if you have mono? Firstly, physicians will perform a general examination to find out the abnormality of your body, then they will concentrate to some particular regions based on your complaints, in this situation, they are the mouth and the neck. The purpose of these works is to find out the inflamed oral cavity may be associated with the infected tonsil and the enlarged lymph node at the neck. After finding the symptoms in systematic and specific ways, they will suggest some laboratory tests to ensure their clinical findings. One of the most common tests is to determine the atypical lymphatic cell in your blood. Don’t be worried, doctors take a tiny amount of your blood, and the process is just a little bit painful. Another laboratory finding is detecting the appearance of some specific antibodies produced by your body to fight back the EBV to provide substantial evidence about the presence of this tiny invader in your body. How to stop mono before it starts? Mono is one of the most common diseases during teenage, the pathogen behind this disease is the virus named EBV. The infection can produce mild to severe manifestations, and it is hard to distinguish clearly between strep throat and mono. Therefore, you should keep in mind the warning signs which alert you to find the healthcare specialist. There are multiple ways to prevent the transmission of EBV, including avoid kissing with the patient, change into a healthy diet, and one of the sufficient ways is to wash your hand carefully after contact with the patient. Hope that all the information above could be useful and knowledgeable enough for you about how to get rid of mono.